Prison inmates - conditions have deteriorated drastically since the UN's last report in 2013, say experts. Early next month, the UK will be examined by the United Nations Committee against Torture, an expert body that monitors implementation of a key human rights treaty: the Convention against Torture and Other Cruel, Inhuman or Degrading Treatment or Punishment. A major focus of the review is likely to be the dire situation in prisons across the UK. This will not be the first time that the Committee against Torture considers the state of the UK prison system. In its most recent review of the UK in 2013, the Committee expressed concerns over “the problem of overcrowding, and its impact on suicide rate, cases of self-injuries, prisoner violence and access to recreational activities”, “deficiencies in the access to appropriate mental health care” as well as the use of “techniques of restraint that aim to inflict deliberate pain on children in Young Offender Institutions”. Since then, the situation in UK prisons has only gotten worse. In its latest annual report, the prison watchdog for England and Wales documents “some of the most disturbing prison conditions” ever witnessed by inspectors. 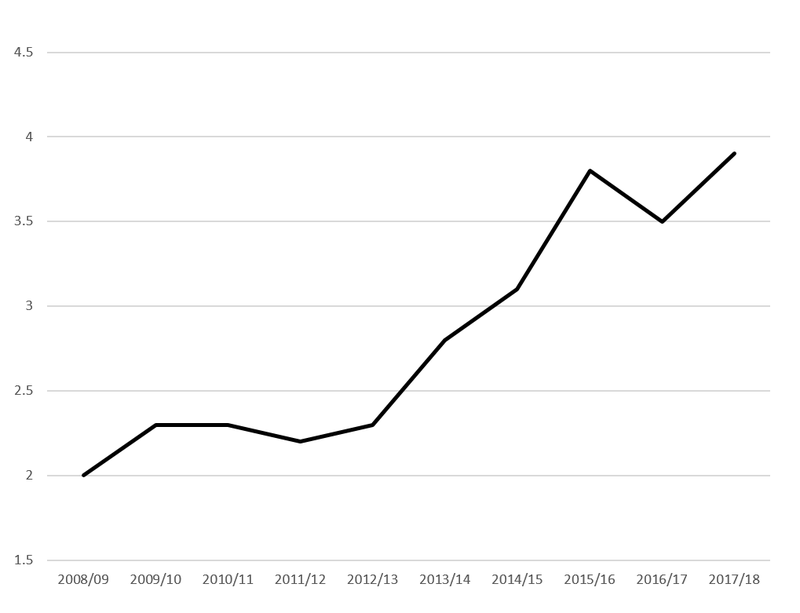 Years of funding cuts have led to chronic overcrowding and understaffing in many prisons and safety levels have declined dramatically, with prisoner suicide and self-harm showing an alarming rise. The very idea that prisoners have rights, let alone that the UN should poke its nose into such matters, is bound to be met with significant hostility. Yet this issue cuts to the very core of human rights protection. There are a number of basic human rights that cannot be taken away from anyone under any circumstances – even, and perhaps especially, if one is in the custody of the state. Among the most essential is the right not to be subjected to torture and other cruel, inhuman, or degrading treatment or punishment. While there is some disagreement over what exactly these ‘other’ forms of ill-treatment are, they are of clear relevance to UK prisons. For example, the continued use of pain compliance techniques and solitary confinement for children in custody can be considered in breach of the Convention against Torture. But cruel, inhuman, or degrading treatment can also involve less headline-grabbing cases of abuse or neglect, such as social isolation or a failure to provide access to adequate medical assistance, fresh air and meaningful activity. Safe and humane prison conditions are key to ensuring a fair and effective criminal justice system. How we treat prisoners, including the most serious offenders, is ultimately a reflection of how much we value human rights for all. 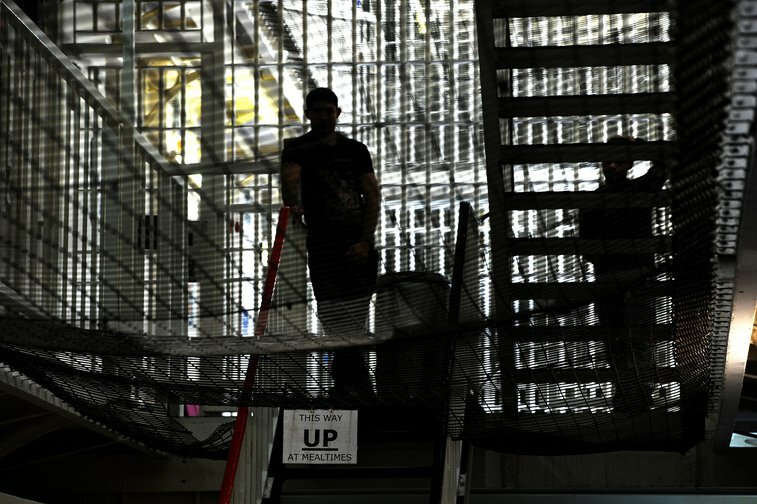 In the UK, too many prisons are failing to meet the most basic standards, leading to conditions that should “have no place in an advanced nation in the 21st century”. The upcoming review by the Committee against Torture can help shed light on these systemic failings. However, substantial change is unlikely to come about without parliamentary pressure and a well-informed public debate about the damaging impact of austerity on UK prisons and the people behind bars. Why are UK prisons in such a state? 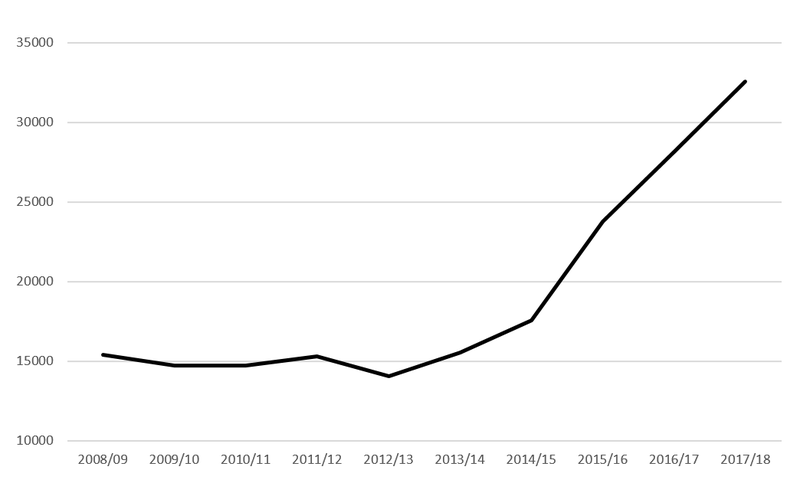 Violence in UK prisons has steadily increased since 2012/2013, when austerity-driven staff cuts really started to bite. Between June 2013 and June 2018, the number of assaults on both prisoners and staff more than doubled. In 2018, the Chief Inspector of Prisons identified four prisons operating at the brink of crisis, with as many as 70% of inmates reporting that they do not feel entirely safe and with some too afraid to leave their cells, except for an occasional shower. Total number of assaults in prisons (England & Wales) | Source: UK Ministry of Justice. Safety in Custody Statistics, England and Wales. Reports 2008-2018. The death rate in prisons has also increased over the past six years. This has been driven both by an ageing prison population and a rise in suicides. More than a quarter of the 325 deaths in custody recorded in England and Wales last year were self-inflicted. Self-harm is also at an all-time high, with 145 incidents recorded on average every day. Death in custody per 1,000 prisoners (England and Wales) | Source: UK Ministry of Justice. Safety in Custody Statistics, England and Wales. Reports 2008-2018. Not captured in these statistics are the poor, often unhygienic, living conditions in prisons, some of which struggle to meet even the most basic needs of inmates, such as access to decent quality food and basic health care. Many prisoners report spending up to 22 hours a day locked up in their cells. Concerns have also been voiced about the increased use of force on prisoners as well as the widespread use of solitary confinement, including for children. Government interventions so far have been insufficient. A new process to flag up urgent failings in individual prisons can help trigger immediate action in particularly serious cases. But it remains an ad-hoc approach. Similarly, recent recruitment efforts by the Ministry of Justice cannot offset the loss of more than 7,000 frontline staff with about 70,000 years of combined experience since 2010. Working conditions in prisons are now so bad that a third of new prison officers quit the service within a year of starting. Public and political discussions on prison reform frequently focus on the dual challenge of reducing costs and reoffending rates. While these are legitimate concerns, considerations of prisoners’ rights, needs and perspectives often fall by the wayside. There is, in theory, a strong legal and institutional framework to protect the rights of detainees in prisons and elsewhere. Under the Convention against Torture and other human rights instruments, the UK must not only prohibit and punish torture and other forms of ill-treatment, it also has a duty to prevent such conduct. This duty extends to private settings, such as contractor-run prisons. However, this protective framework will only be effective if we know the full extent of what is going on in prisons and if mechanisms are in place to hold those in power accountable. The most important guarantee of government accountability is public and parliamentary pressure. But prisoners’ rights are frequently met with public indifference, if not hostility. While there is clearly some tabloid interest in prison ‘raves’, ‘fight clubs’ and ‘spice zombies’, the daily lives of prisoners remain invisible to most people. As a result, it has been politically expedient to pretend that a ‘tough on crime’ approach actually improves public security and that prisons can be run on the cheap. These are difficult times for human rights. In the UK, a decade of austerity has taken an extraordinary toll on ordinary lives up and down the country, in particular those who are most vulnerable. Brexit promises to make things worse as its costs are likely to fall disproportionately on poor and marginalised communities. If the European Charter of Fundamental Rights ceases to apply, human rights protection in the UK might be significantly weakened. Equally worrisome is the government’s shaky commitment to the Human Rights Act, a fundamental piece of human rights legislation in the UK. Human rights are not just an abstract legal concept. They are concrete expressions of universal human needs and to protect them, we need renewed commitment on a daily basis. The way societies treat their prisoners is a litmus test of this commitment. None of us know when we may need to call upon our most fundamental human rights for protection. If the rights of persons whose behaviour we disapprove of is deemed beyond our realm of concern, we may soon find that the protections that we all take for granted are not so guaranteed after all. This article builds on a recent meeting of the UK Network on the Prohibition of Torture that explored the state of the UK prison system in light of international human rights standards.